Viva Santa Barbara Modern Mexican Cuisine opened last month in the heart of downtown Santa Barbara’s La Arcada dining and shopping plaza, at 1114 State St. The restaurant, which boasts ample outdoor seating, two floors of indoor seating, a bar and an event room, is the latest establishment in the location’s 70 years of restaurants, which most recently was Cielito. In its entirety, the restaurant boasts a 400-person capacity. All of La Arcada’s other merchants, he added, are locals, too. 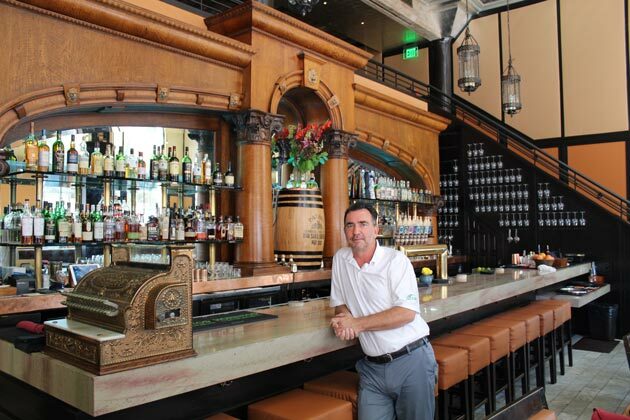 Searles, who has been in the Santa Barbara restaurant and bar business since 1990, has started numerous other establishments in Santa Barbara and Ventura counties, including Dargan’s Irish Pub & Restaurant, which he co-founded, and Pizza Mizza, which he still owns. Viva serves a wide variety of Mexican dishes, along with salads, soups, flatbreads and a “gringo cheeseburger,” and has a comprehensive bar. Viva has two Monday-through-Friday taco happy hours, as well: from 3 to 6 p.m. and 9:30 p.m. to midnight. And with its event room and ample space, it has already hosted a number of live music events, and can host weddings, class reunions and quinceañeras, Searles said.